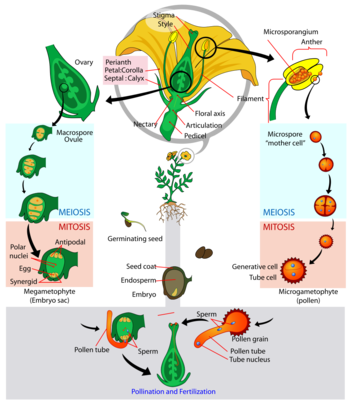 The plant life cycle is the cyclic process of reproduction from the beginning of plant life to the return to the starting state. The process involves a series of changes in form and includes germination, growth, asexual reproduction, and/or sexual reproduction. This page was last modified on 4 August 2014, at 22:04.